With organizations going digital today, there is a strong need to develop and maintain a feature rich website which provides users with a gratifying experience. A good website enhances an organization’s web presence and helps in effective communication with users. 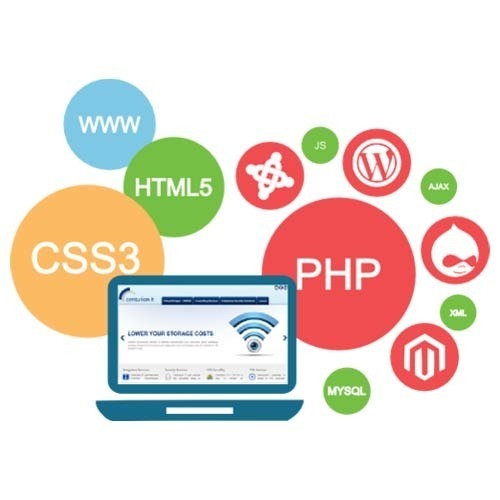 DRC Systems offers complete web technology services to clients for all their portal needs our team comprises of Internet marketing specialists, content developers, graphic designers and coders. Our web developers bring several years of experience in creating web applications that fulfill customers technical and business requirements. Our creative team builds tailored web solutions that accomplish customers business objectives and goals. We at DRC Systems can help you building a new website from scratch or help you improve your existing one in order to increase user traffic and conversion. Whether you want to develop a successful e-commerce site or establish an online presence, DRC Systems can assist you in achieving your goals by developing simple static sites to top-notch interactive sites. We use latest technologies to design and deliver cutting edge web solutions that help increase sales and maximize revenue. Established in the year 2012, at Ahmedabad (Gujarat, India), “DRC Systems India Pvt. Ltd.” is engaged in offering ERP And CRM Solutions, e-Learning and MOOC, E Commerce Solutions, Web Applications And Web Portals, PHP Services, SAP Solutions, Joomla Services, Microsoft Dot Net Services, TYPO3 Services And Solutions, Web Content Management Solutions, Technology Services And Solutions, Application Support And Maintenance, Web Development Consulting, IT Staffing Services, Enterprise Solutions, Contracted Developers, WordPress, Android Apps and Windows OS. The world is changing at a fast place which in turn is creating a huge demand for better technology solutions. We at DRC Systems understand the state-of-the-art technologies that define the future. Our rich domain expertise spans across verticals and industries and helps us gain better insight into customer needs. We have a strong client base in many countries like India, USA, UK, Canada, Sweden, Netherlands, Denmark, Spain, Italy, Greece, Israel, France, Singapore, Germany, UAE, Hong Kong, Malaysia, Australia and other European countries. We thrust on innovation and provide cost effective solutions that not only satisfy your needs but also add value to your business. Our vast pool of resources has access to an ever growing set of tools and technical know-how that help us build dynamic and user-friendly technology solutions for our clients.